Shakulu was a very energetic little boy who loved to run and play, just like the other kids. But Shakulu wasn’t just like the other kids. When he ran, he tripped and fell. He bumped into things. The other kids laughed at him. Sometimes they even beat him, knowing he couldn’t tell on them because he couldn’t see their faces. His mom had to watch him closely so he didn’t fall into the cooking fire or injure himself with the garden tools. His parents had known about his cataracts since he was five months old, but they couldn’t afford the surgery that could help him. They heard about free surgeries being offered by cbm, but they couldn’t even afford the trip to the hospital. Then Shakulu received a goat as a gift. It was the chance his parents had been praying for! They sold the goat to pay for the trip to the hospital. Shakulu was given free surgery, thanks to the generosity of cbm supporters like you. Shakulu can now see! He’ll be able to go to school and build a bright future for himself. 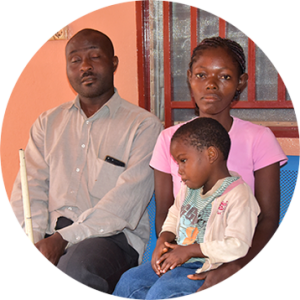 Merveille’s mom thought her little girl would be blind forever, just like her father and grandfather. 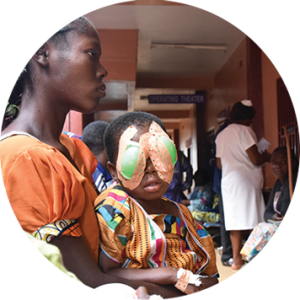 Her parents knew surgery could fix Merveille’s eyes, but they could not even afford the bus to the hospital, let alone the surgery. 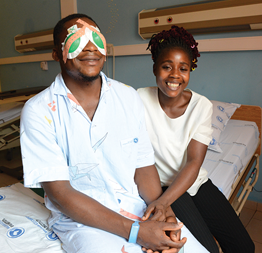 Merveille was given free cataract surgery, thanks to the kindness of a cbm supporter like you! Success! 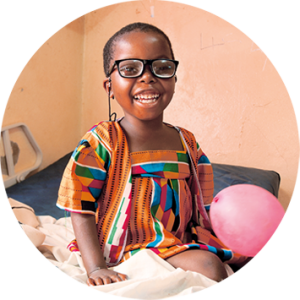 Merveille can’t wait to show off her new sight—and her new glasses—to all her family and friends. 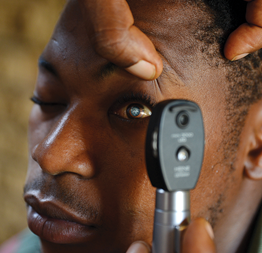 Desire started losing his vision at a young age due to cataracts. He had to drop out of school because he couldn’t see the blackboard or read his textbooks. He married and had four children, but couldn’t provide for them. 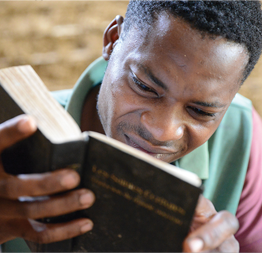 Desire dreamed of becoming a civil servant or a carpenter, but both were impossible with his poor vision. Instead, he worked a few hours a day on his mother’s farm. But when the sun became too bright, his vision disappeared and he had to return home. 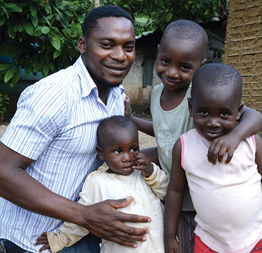 Desire knew surgery could help him, but it cost 4 times his annual wage. Then a relative told Desire about the cbm-supported eye hospital. 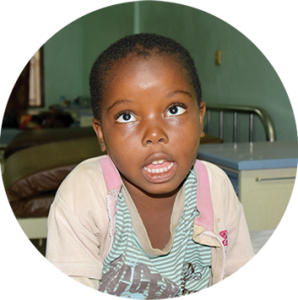 Desire was given free cataract surgery thanks to the kindness of someone like you. Desire can achieve his dreams! He’s able to see his wife and play with his kids. And he’s able to find a job that will support his family and bring meaning and purpose into his life.